This brick-and-mortar store offers a wide array of inspirations crafted in small studios by independent artists. Everything here has a unique story. Find works in clay, metal, glass, wood, paper, fiber, and other media. We specialize in wearables such as jewelry, scarves and neckties as well as fine art for the walls and utilitarian goods such as pottery, artisan soaps, handbags and wallets. Kid Corner features creative gifts and sustainable, heirloom-quality toys that will endure generations of play and aesthetic appreciation. We even have drawing materials out for kids to sit and be creative while you shop! The mission of Dovetail Rivet & Stitch owner, Hilary Anderson, is to provide a rich arts experience for the community and its visitors and to bring awareness to materials and the making process. Also an artist, Hilary creates jewelry, scarves, greeting cards, wall art and other wares for Dovetail Rivet & Stitch. 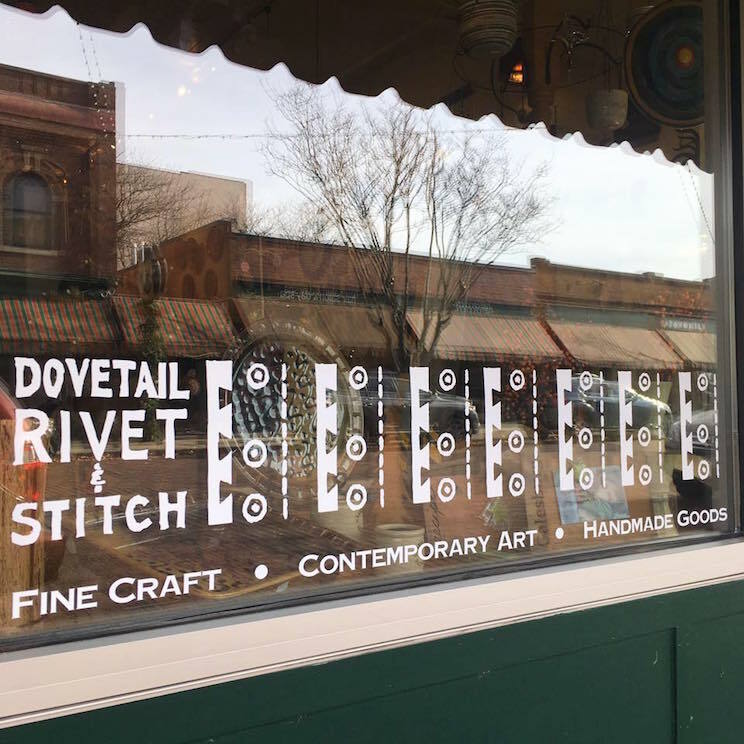 Dovetail Rivet & Stitch is located in the Seminary Street Historic Commercial District of downtown Galesburg, Illinois. The district is known for it's quaint shops and eateries near the train station.